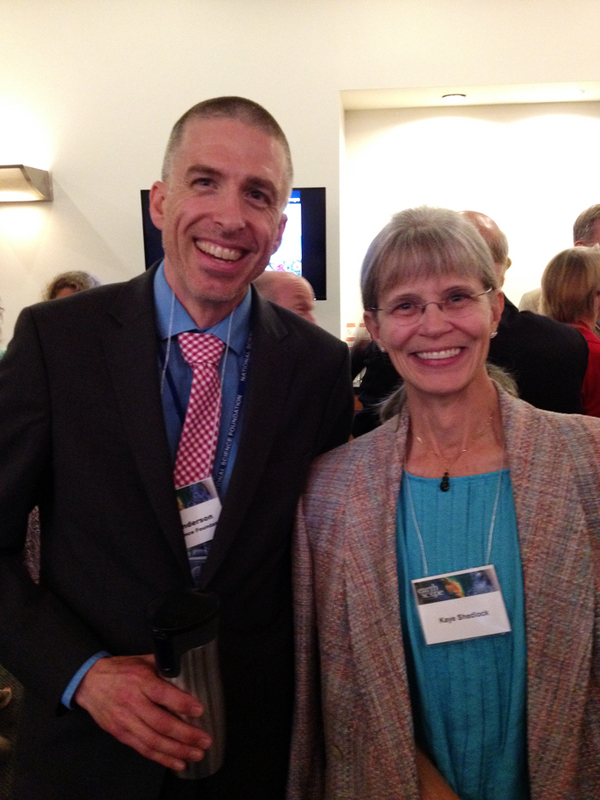 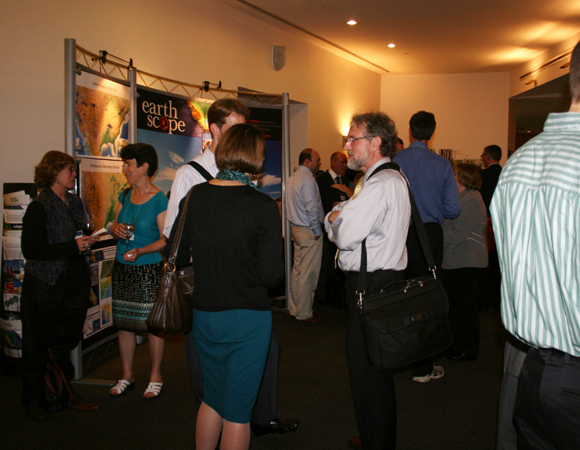 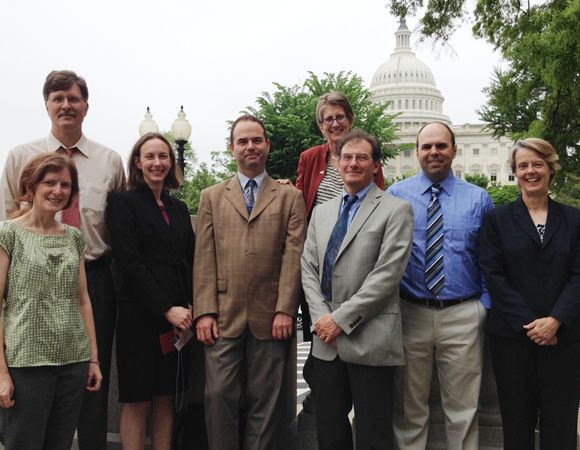 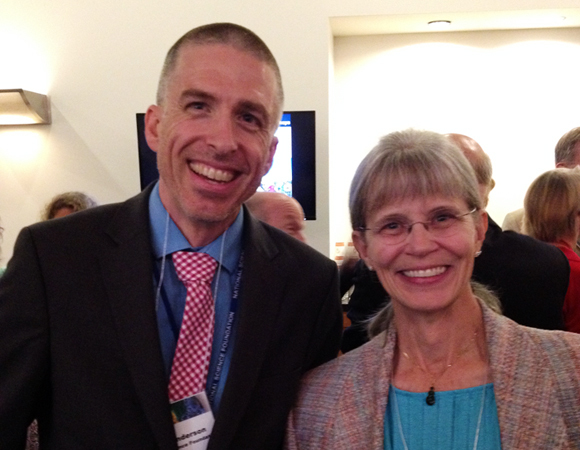 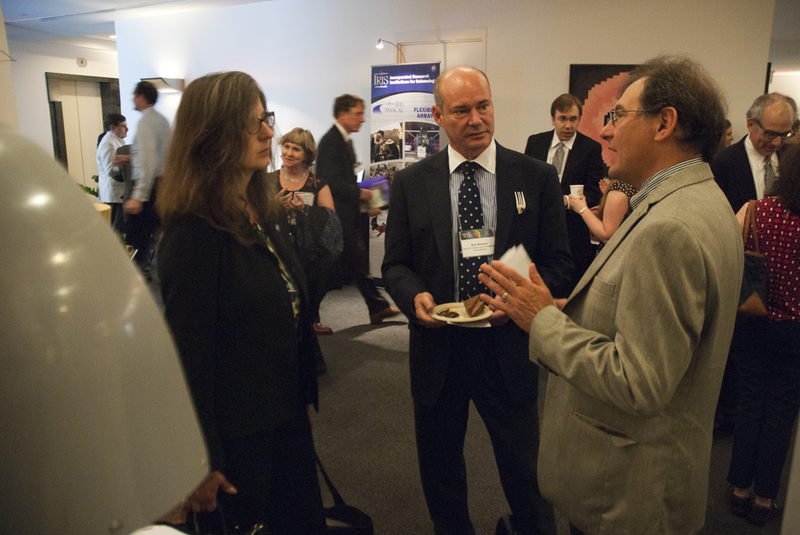 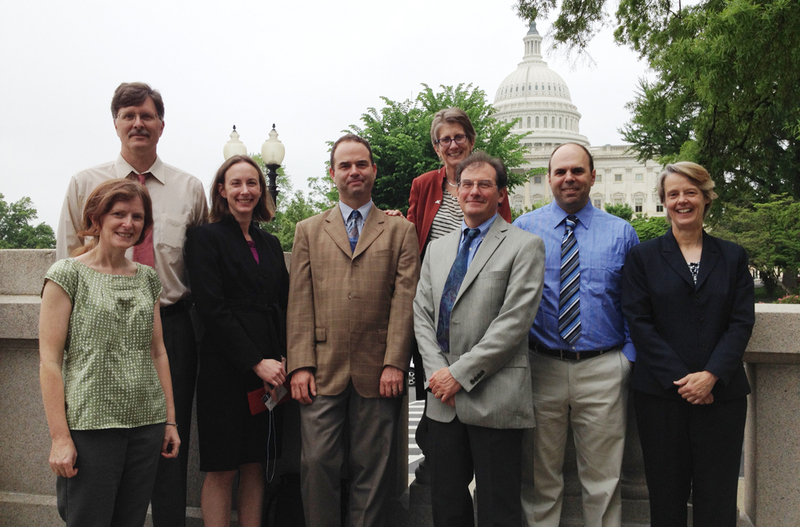 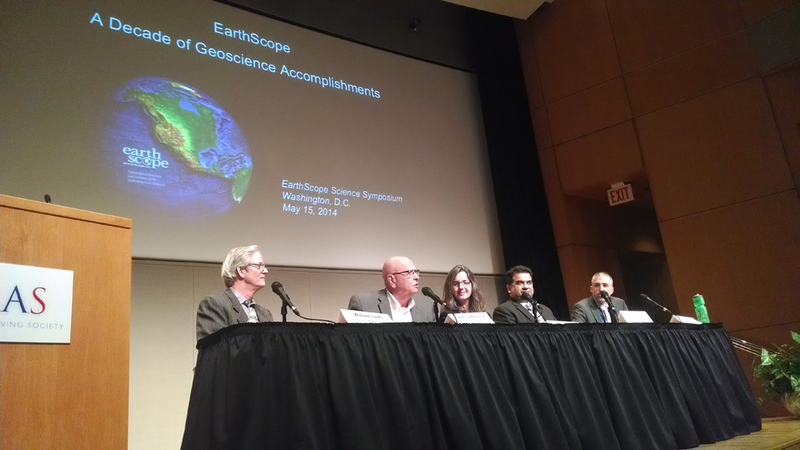 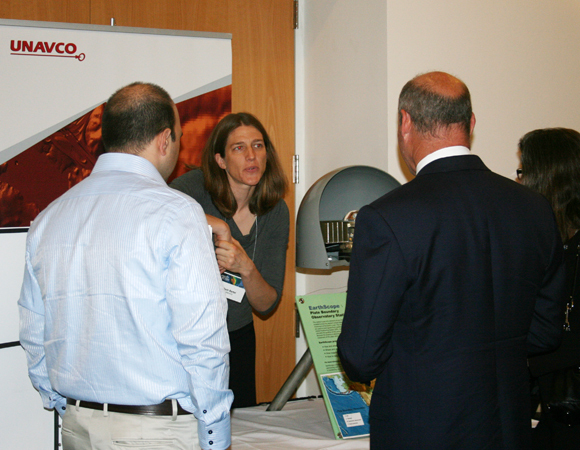 Scientists, funders, and policy makers celebrated the successes of EarthScope's first ten years on May 14 and 15, 2014, in Washington, D.C. 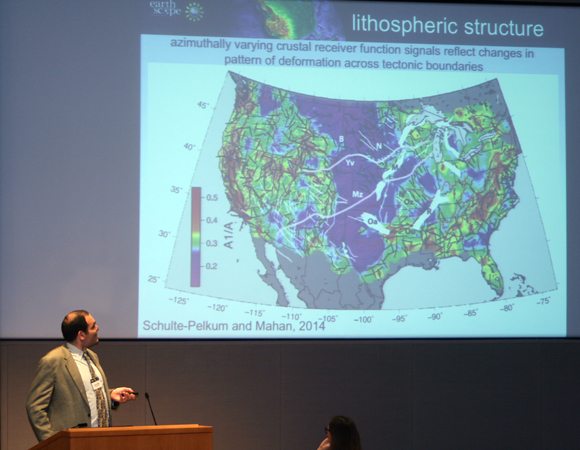 The Plate Boundary Observatory (PBO) was featured as one of EarthScope's three major observatories, along with USArray and the San Andreas Fault Observatory at Depth (SAFOD). 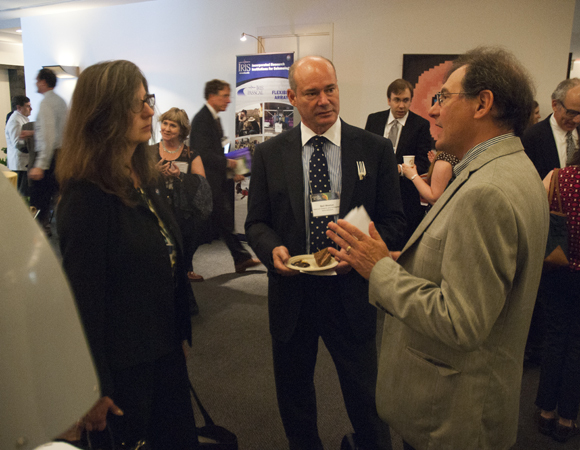 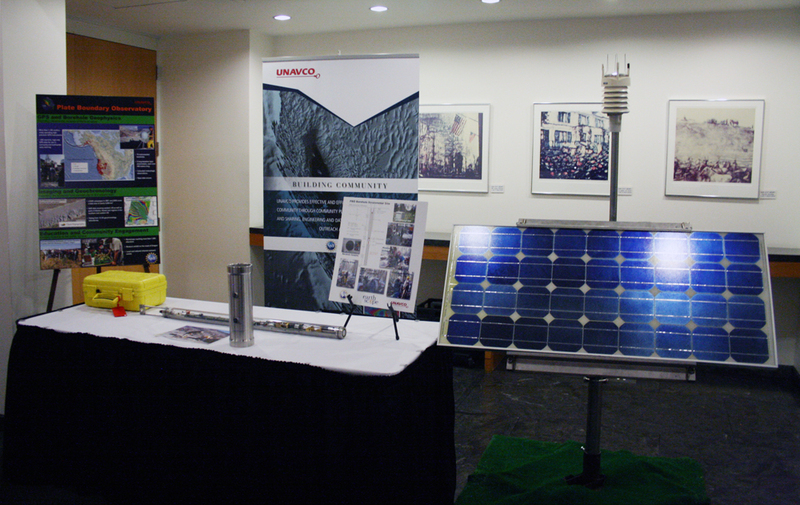 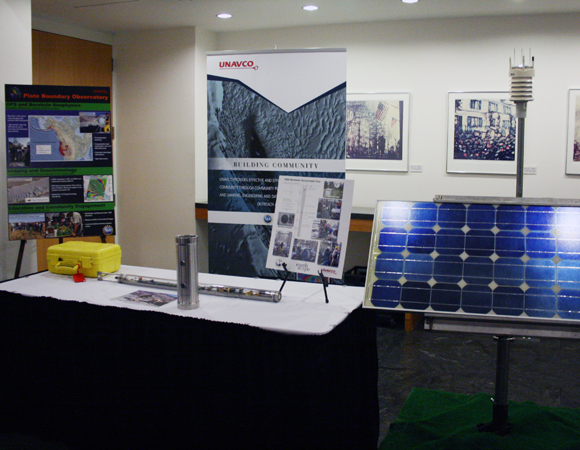 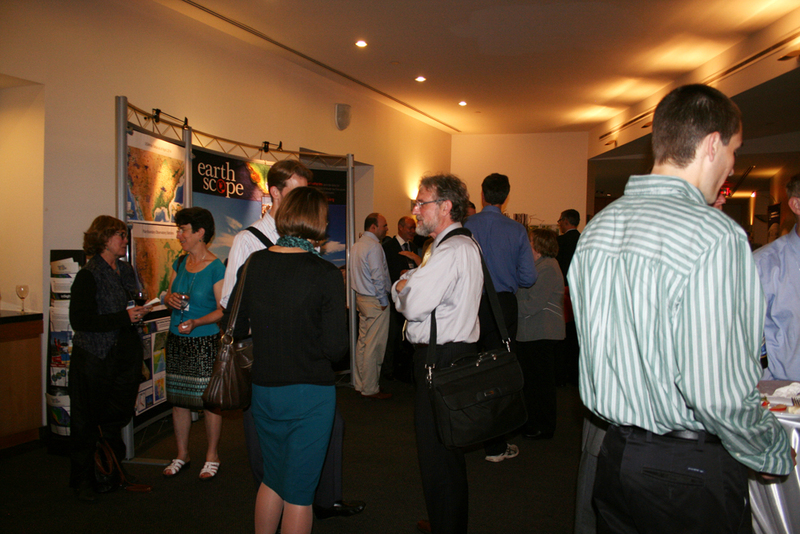 Events included Congressional briefings, a half-day science symposium, and an evening reception. 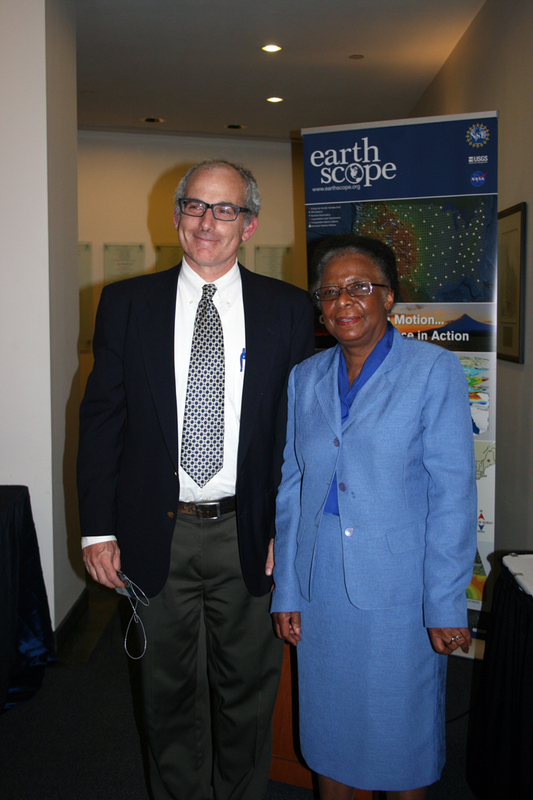 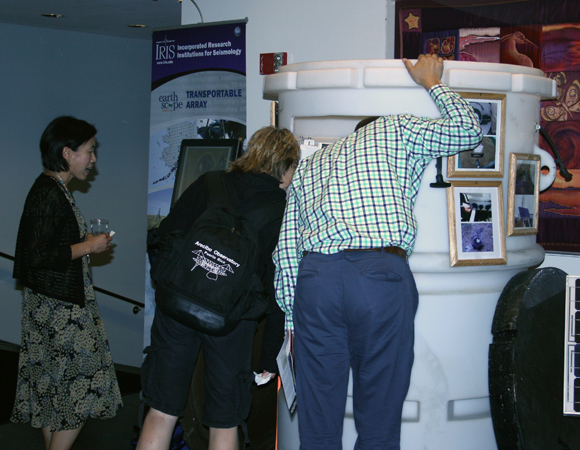 The celebration recognized the contributions of the National Science Foundation, its partners, and the numerous organizations and agencies throughout the government that have made the past ten years of EarthScope a resounding success. 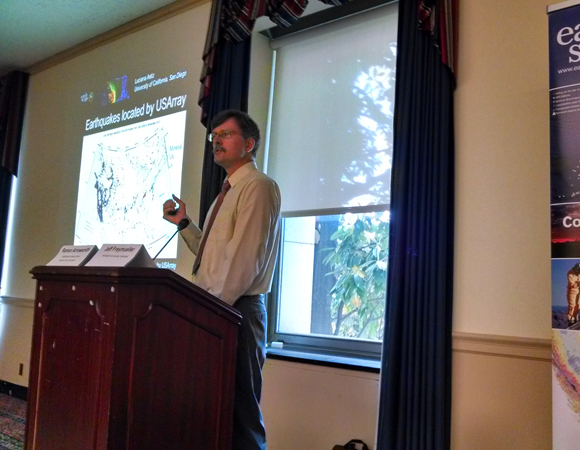 EarthScope scientists conducted Congressional briefings about the innovations, science advances and broader societal impacts of the past ten years of EarthScope and the compelling potential of the next five years of authorized Federal funding. 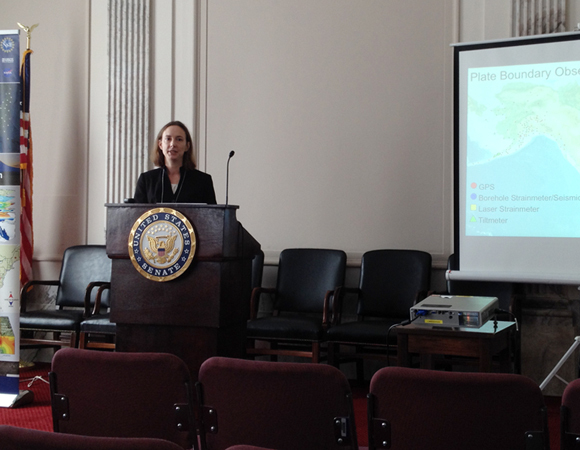 There were two briefings for the House of Representatives and one briefing for the Senate. 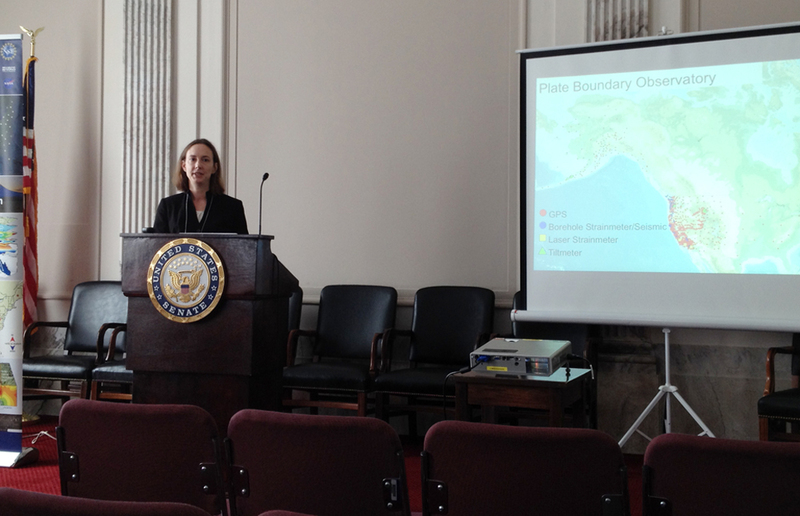 The briefings were organized in cooperation with the House Research and Development Caucus, led by Representatives Frank Wolf (Virginia, 10th) and Rush Holt (New Jersey, 12th); with the House Natural Resources Committee; Senator Martin Heinrich (New Mexico); and the Bicameral Congressional Hazards Caucus led by Representative Zoe Lofgren (California, 19th), Senator Lisa Murkowski (Alaska) and Senator Mary Landrieu (Louisiana). 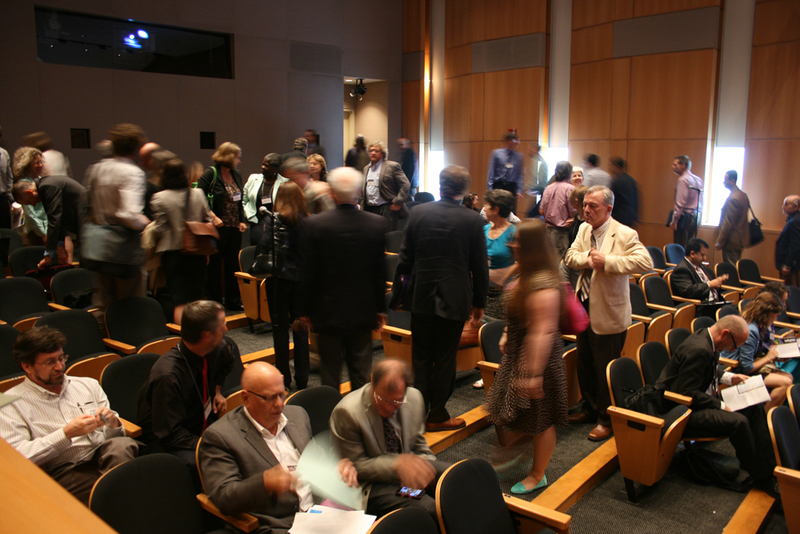 The speakers included Jeffrey Freymueller, University of Alaska, J Ramon Arrowsmith, EarthScope National Office and Arizona State University, Mark Simons, California Institute of Technology, Rowena Lohman, Cornell, Meghan S. Miller, University of Southern California, and Hersh Gilbert, Purdue. 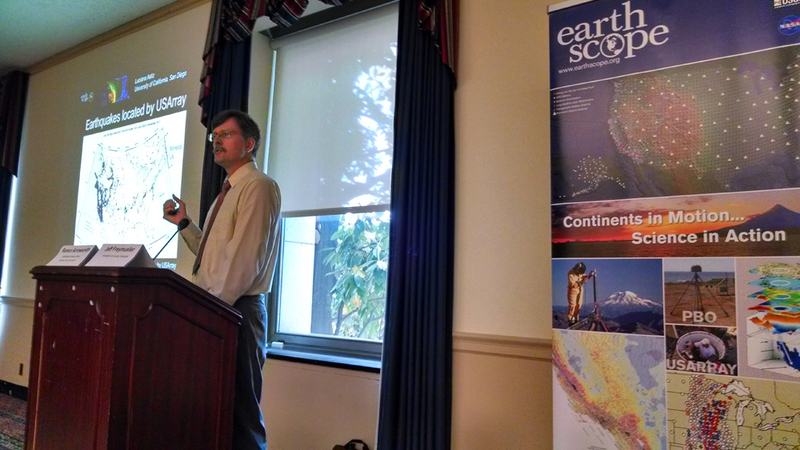 William Leith, U.S. Geological Survey, Senior Advisor on Earthquake and Geological Hazards served as a moderator for some of the briefings. 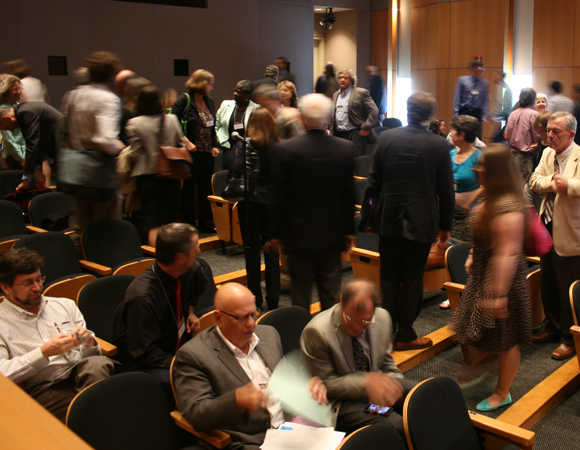 The briefing organizers included the EarthScope National Office, UNAVCO, IRIS, the American Geophysical Union, the American Geosciences Institute, the Geological Society of America, the Seismological Society of America and the Coalition for National Science Funding. 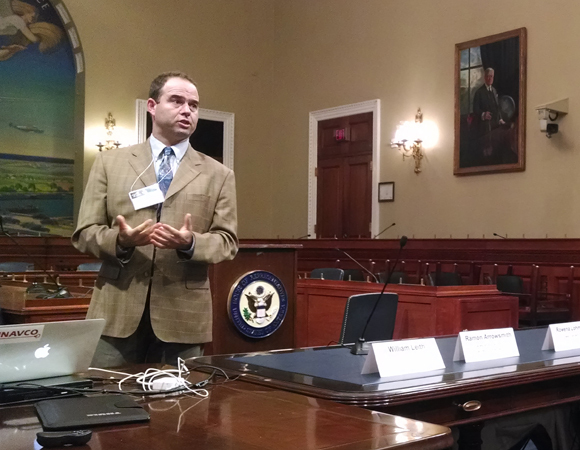 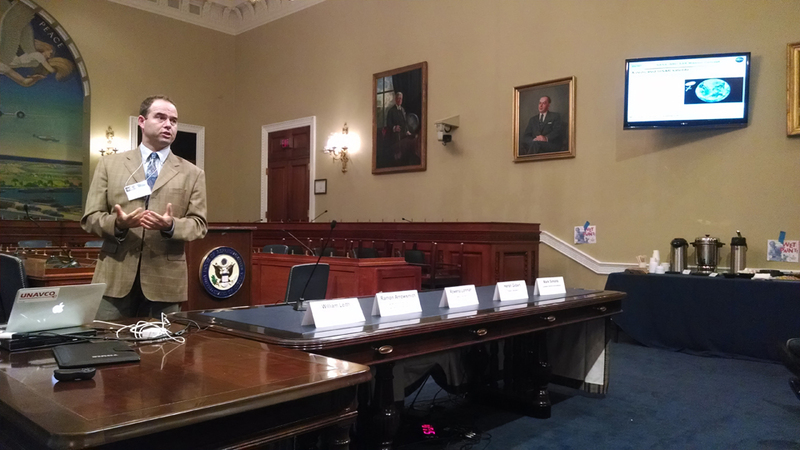 The presentation for the R&D Caucus briefing is available for download on the event page. 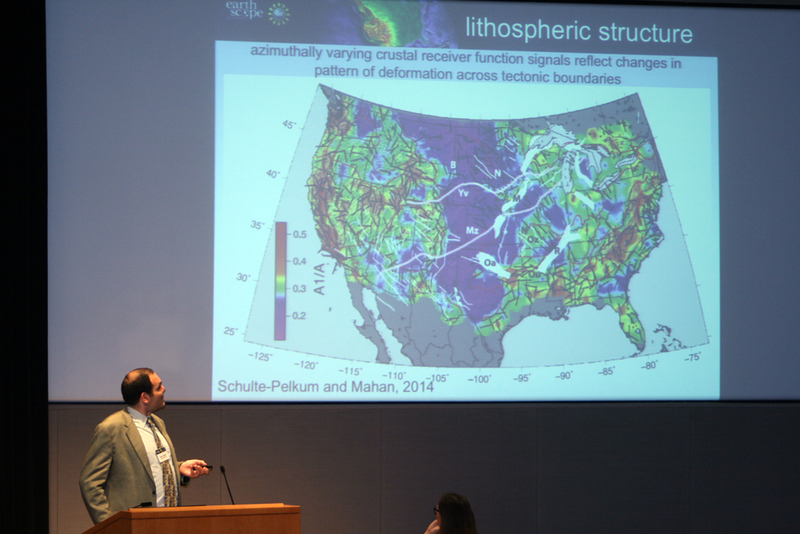 Scientists working with EarthScope data presented their work in a science symposium attended by over 100 scientists, federal agency staff and policymakers. 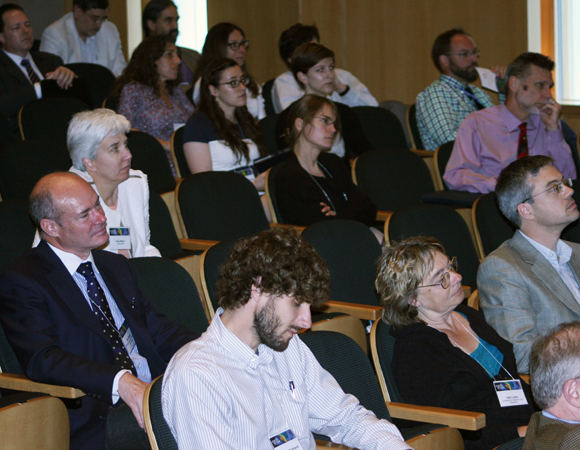 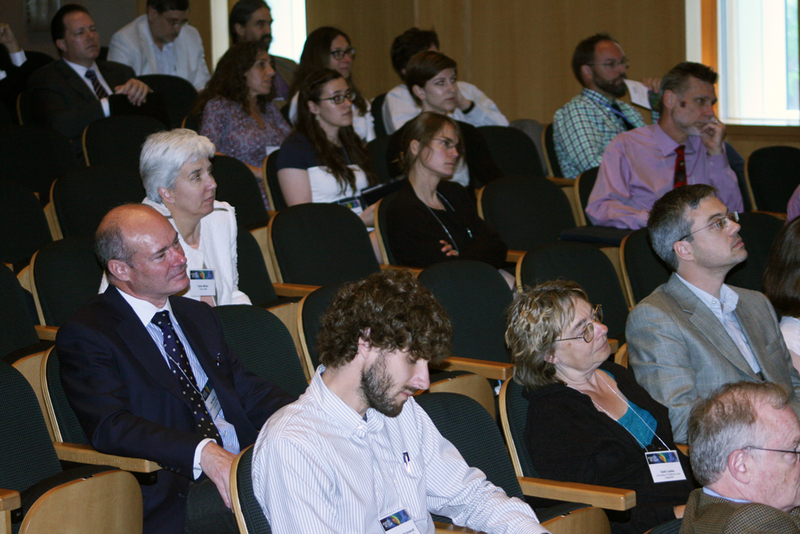 Science presentations highlighted groundbreaking science resulting from data from all three EarthScope observatories. 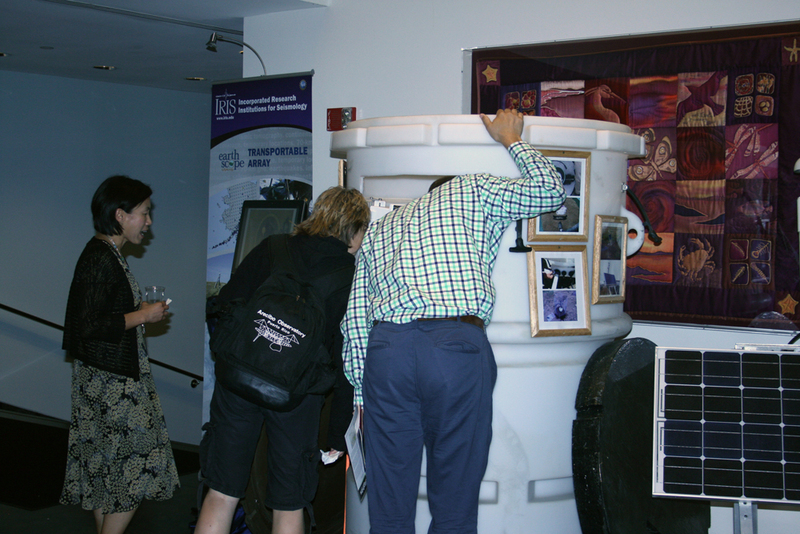 Also presented were the many educational opportunities providing both during the observatories installation processes and ongoing activities leveraging the scientific data. 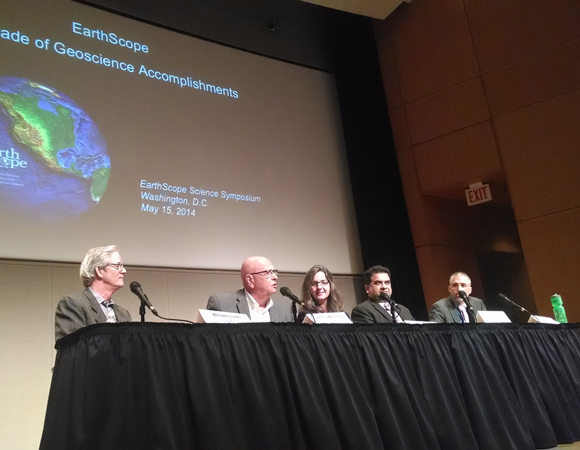 The symposium concluded with a multi-agency panel discussion highlighting the broader impacts of the EarthScope project including policy, societal, and education and outreach implications, and urged the community to continue to think innovatively about EarthScope and the future of EarthScope-related science. 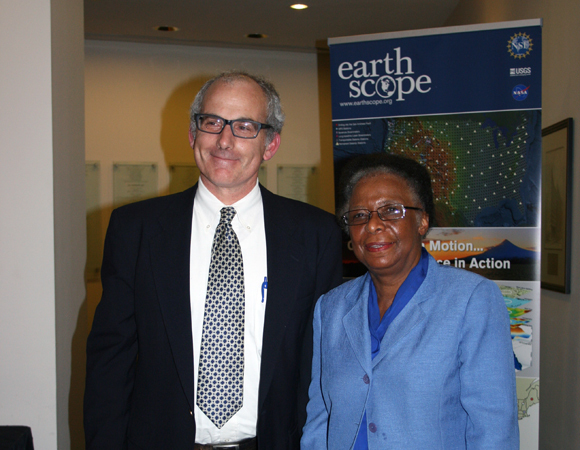 The celebration finished with a reception that included displays of state-of-the-art equipment, keynote remarks by Cora Marrett, Deputy Director of the National Science Foundation, and an opportunity to interact with a broad range of scientists and engineers connected to the EarthScope observatories.